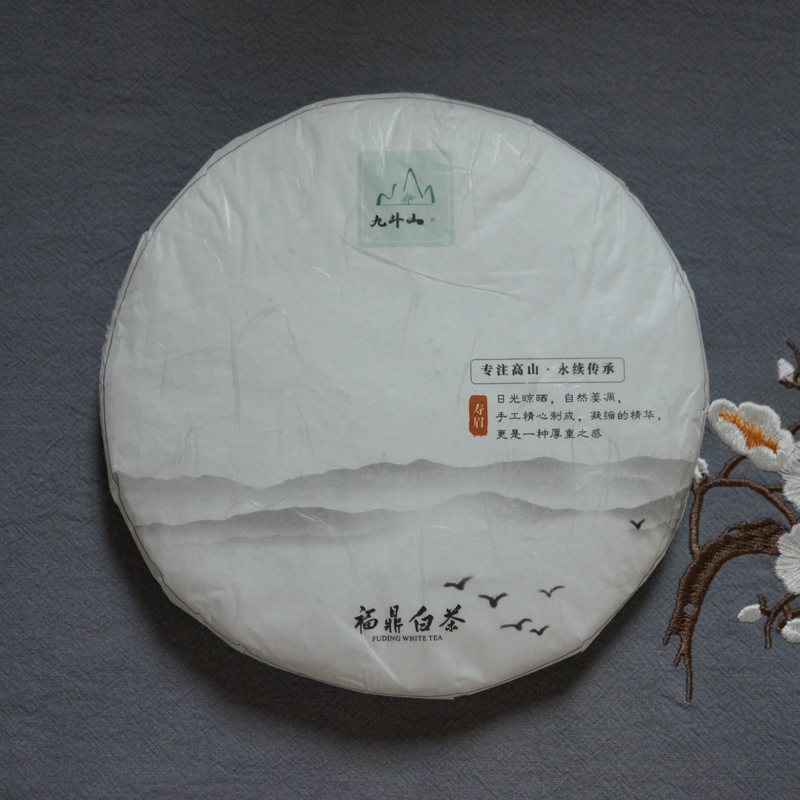 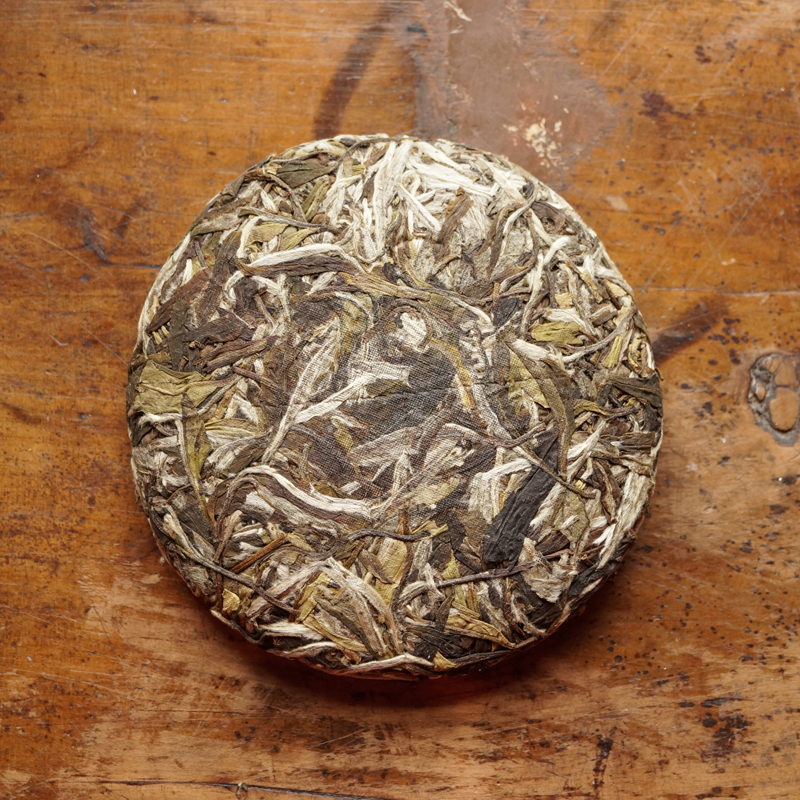 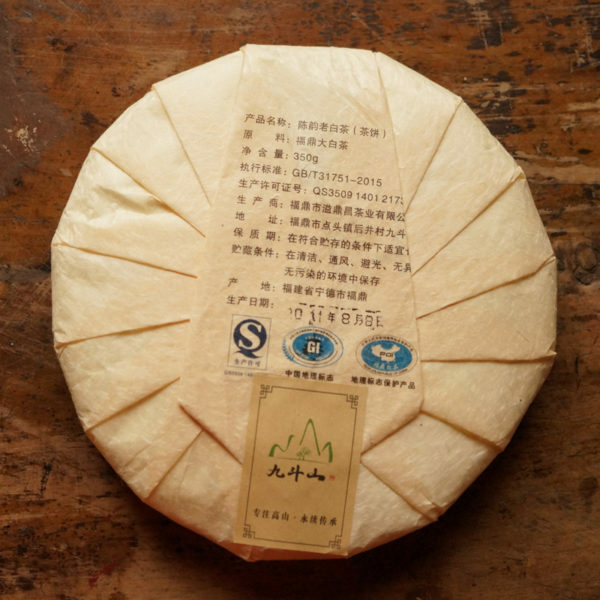 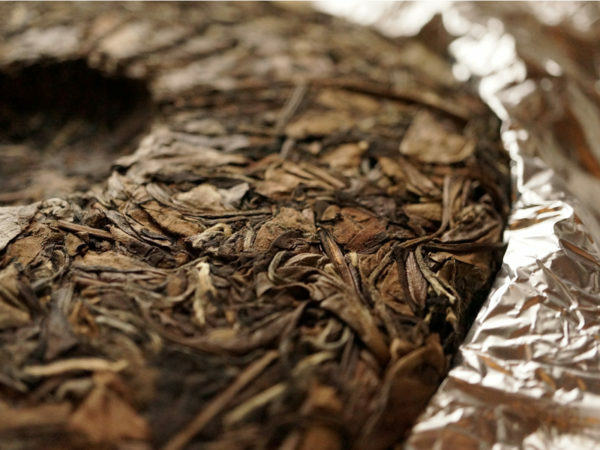 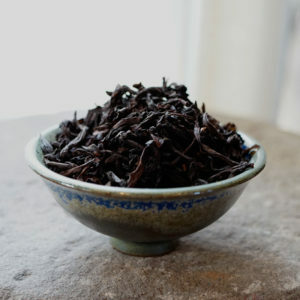 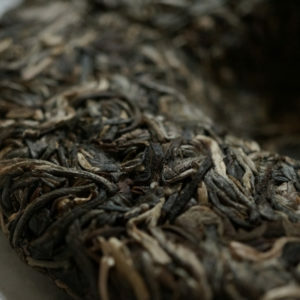 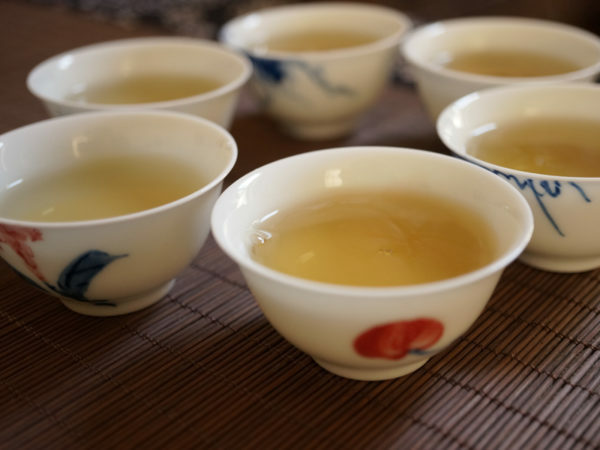 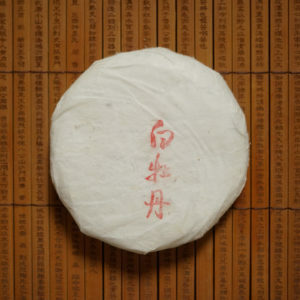 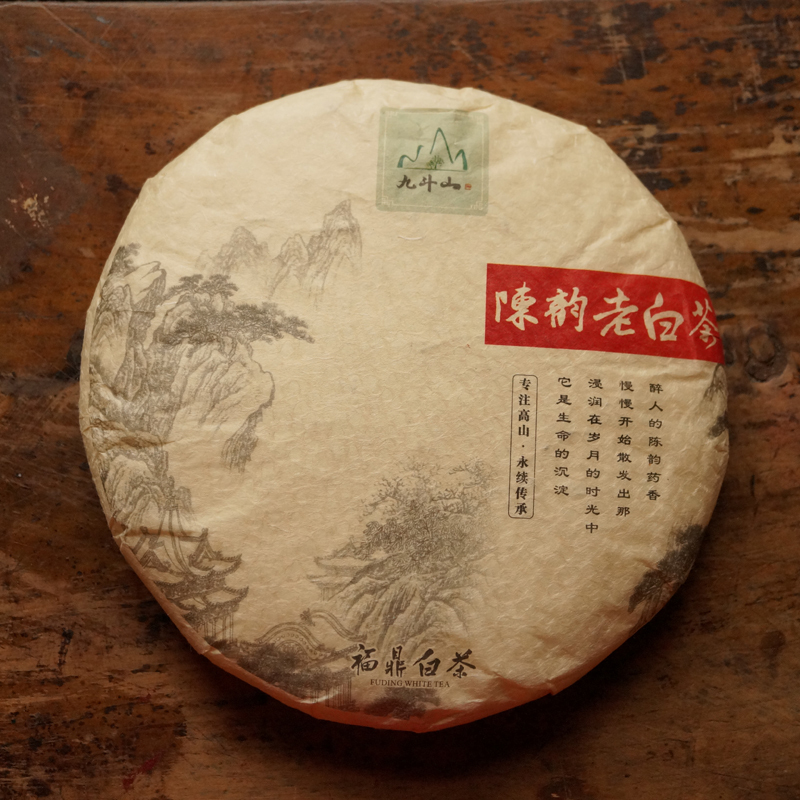 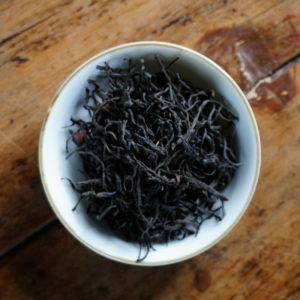 Chenyun( 陈韵) White Tea Cake is produced in August 2011. 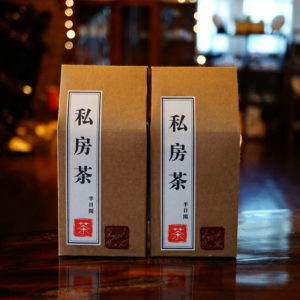 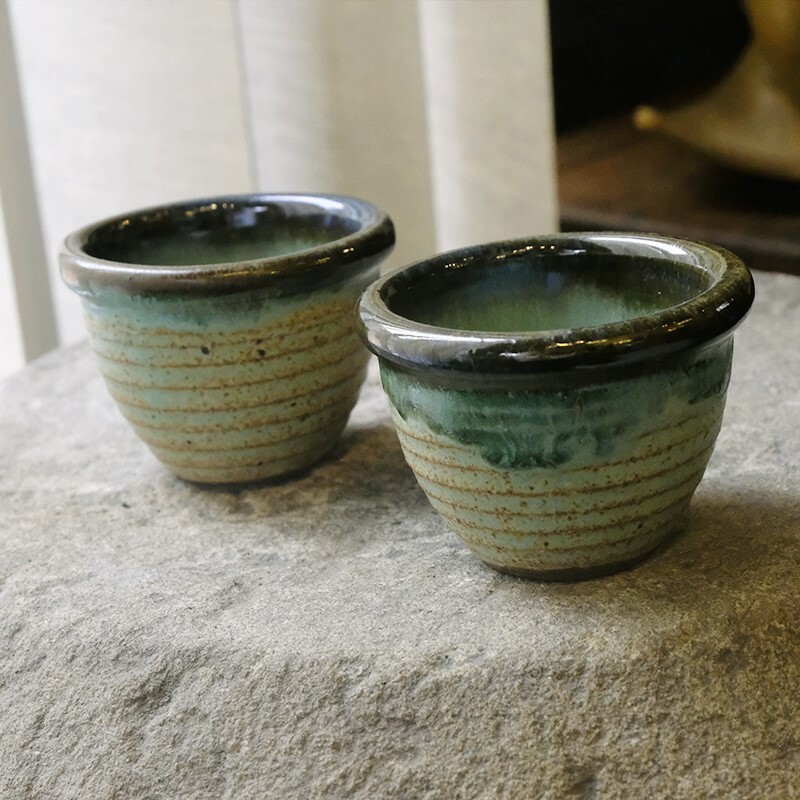 Coming from Jiudou Mountain (九斗山), Fujian Province (福建省)， the tea is produced in a traditional way by people who have devoted themselves to the preservation of their tea tradition. 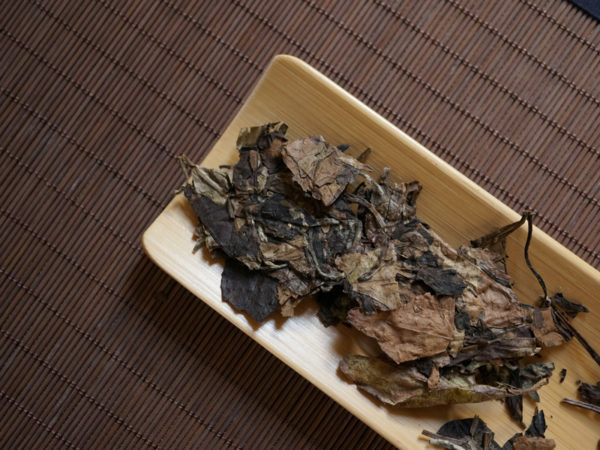 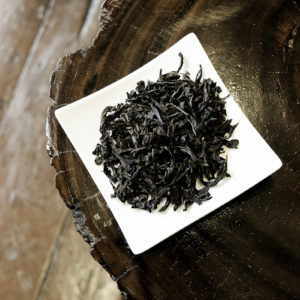 Dried under the proper sunshine, the tea hasn’t been through machines, which gives the drinkers a feeling of wildness and sunshine from the Jiudou Mountain which is always surrounded by clouds and fogs in the mornings and at nights. 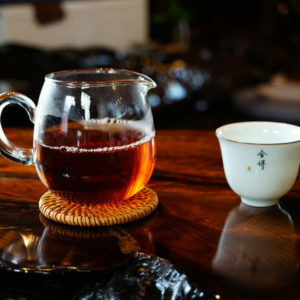 The consistency of this tea is very good. 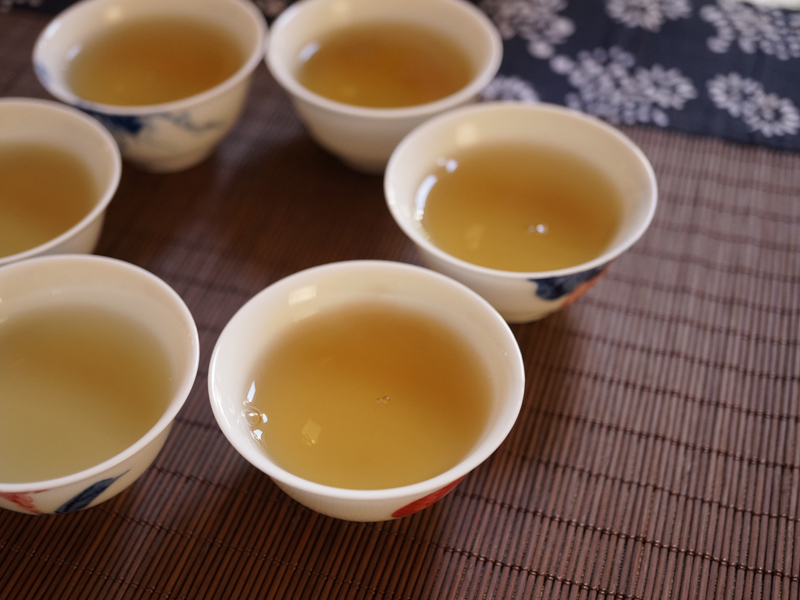 Each infusion is similar to the previous one, with a slight difference. 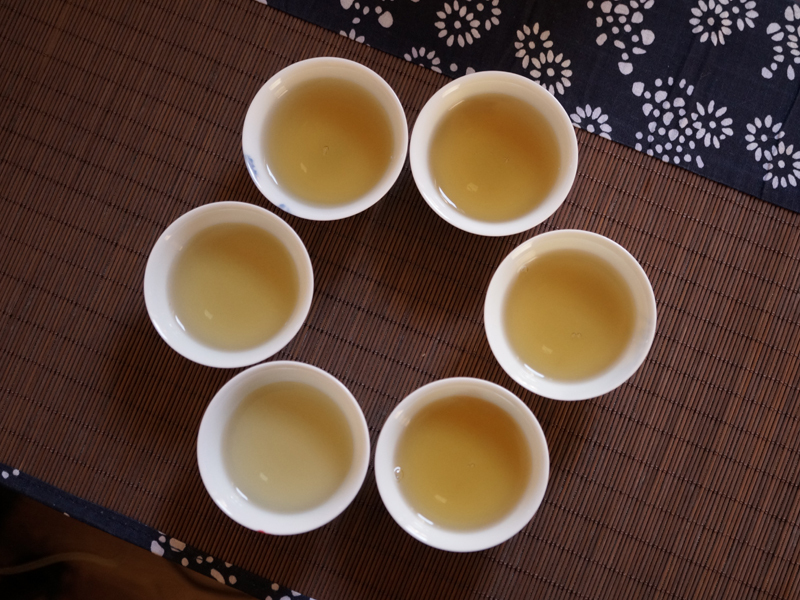 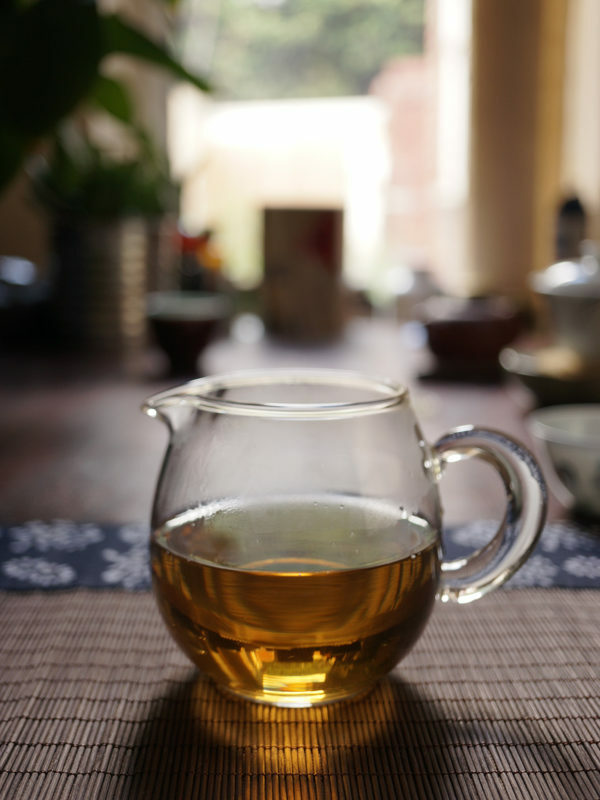 The liquor of tea is in a honey type of yellow colour, very clear. 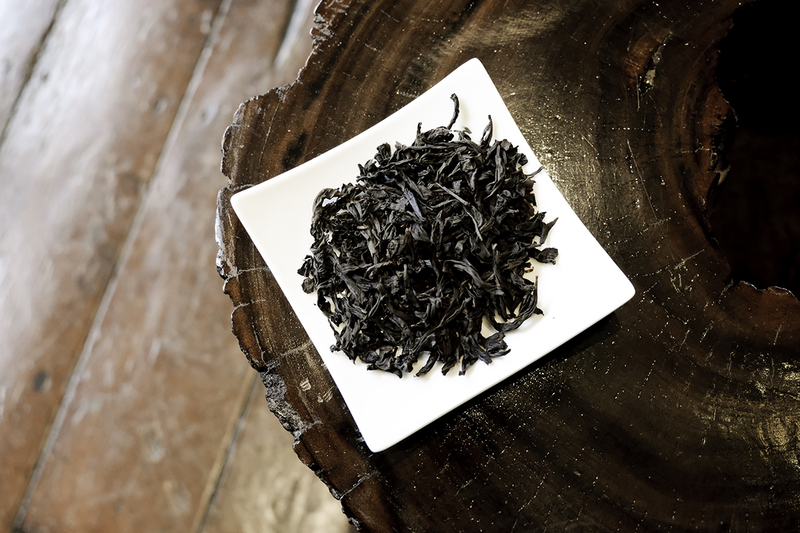 It’s sweet in a subtle way with a bean flavour hint. 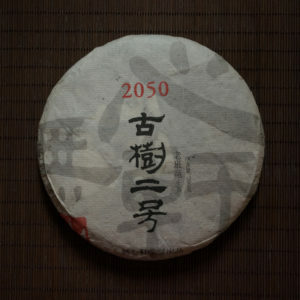 Because it has been aged for a few years, the flavour is settled and steady. 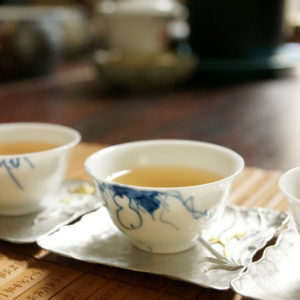 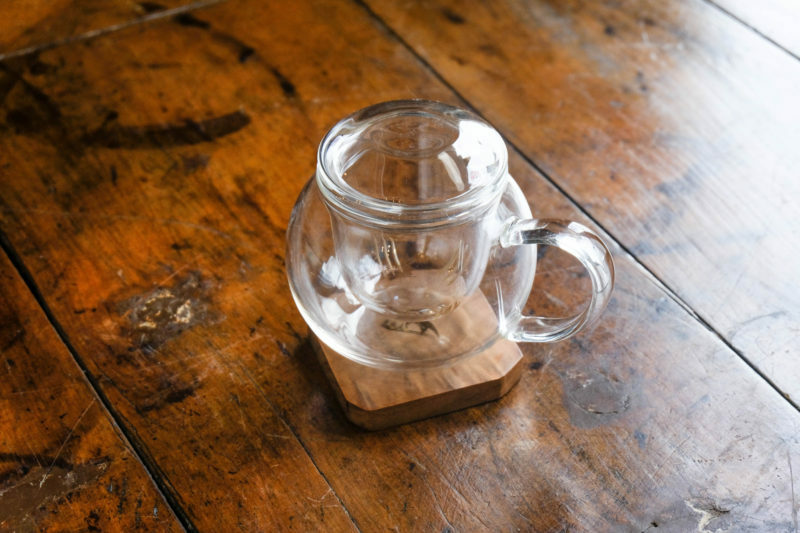 Because of the good quality, the tea is worth both collecting and drinking.